Thank you to Lena Krakowaik who represented Chisnallwood and played solo trumpet for the February 5th memorial event at the Avondale bridge on Monday Feb 5th. This will be a fabulous not-to-be-missed workshop for students and music parents. FOR 2 nights for the NZ Ukulele Development Squad from Auckland. Chisnallwood is hosting this fabulous group on March 31 and April 1. Details will be at http://chisnallwoodmusic.org.nz/category/music-groups/ukulele-band/ It will incorporate an invite to a shared meal on March 31 (helpful for students attending the 7pm workshop). Watch out for Chisnallwood guitarists on What Now this Sunday morning! 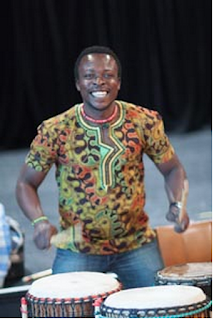 Next week we have Koffie Robert Fugah at school teaching all our students some African drumming!